In the fall of 2015, the United States Department of Agriculture awarded the Monmouth County Board of Chosen Freeholders a Rural Business Enterprise Grant to assess the rural agricultural industry in Monmouth County, evaluate current trends and future opportunities to expand the industry, and to develop a marketing strategy to promote and market local agricultural products. The logo is the first element of the marketing strategy. 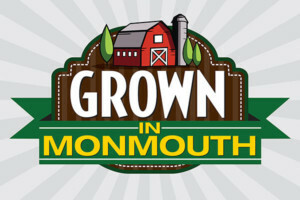 Members of the County’s agricultural community are encouraged to go to the Grown in Monmouth website, http://www.growninmonmouth.com to learn how to access the logo. The logo is free and requires a user to enter into a license agreement with the County. Anyone interested in learning more about the program can attend the Grown in Monmouth update meeting on October 5 at 7 p.m. at the Monmouth County Agriculture Building, 4000 Kozloski Rd., Freehold. During this meeting, a project update will be given and additional information about the marketing plan will be discussed.